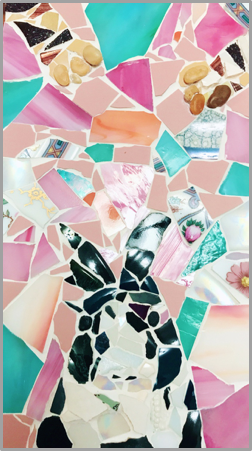 Come and join us to make your own free style mix media mosaic art! 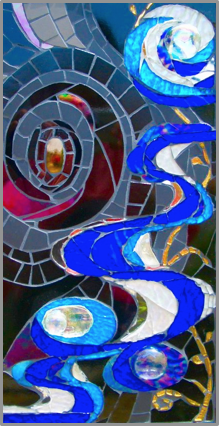 Let your imagination flow freely through beautiful diverse materials. Taster price until the end of Jan 2018. You will be asked to fill in a short feedback questionnaire which will be used to improve the service. 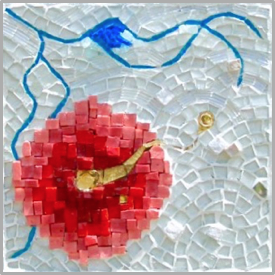 This class will be an excellent introduction to making mosaics. You will be working on a project using mainly direct method based on your own deign (2D or 3D). 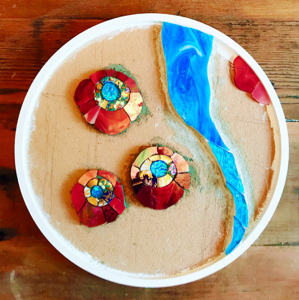 The process of making mosaic art is preparing your base, cutting and adhering materials, fixing onto a surface of your base, grouting and finishing your work. Bringing ideas or sketches to the first session is recommended to save your time. Bring an apron or clothes which can get dirty. Tools and a certain amount of materials are supplied during the class. 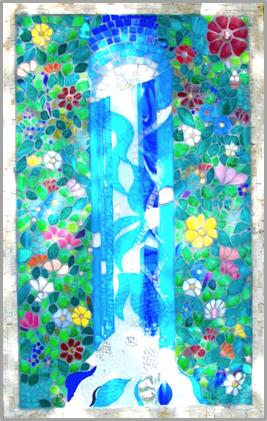 We have a variety of colorful tiles, ceramics and glasses. But you can also bring your own materials including the base of mosaics e.g. a board, a picture frame with a wide flat surface, to have a wider range of choice. 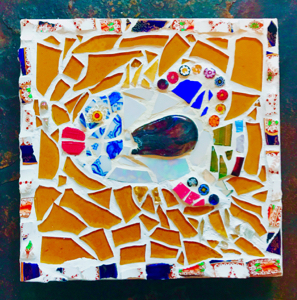 Used objects can also be redecorated by mosaic art. Some square / round shape MDF / plywood boards 10x10cm ~ 50x50cm are available. Some small boards are free. Larger boards ≧ 30x30cm can be purchased during the class e.g. free: 30x30cm no frame square MDF, £6: 30x30cm no frame round MDF. It is ideal to request in advance as the numbers are limited. The details will be sent. Please note, this class is for ages 8 and older. Children under the age of 13 will not be able to use the nippers tool, and children under 16 must be accompanied by an adult. Sorry for any inconvenience but safety first.